Lot 3. 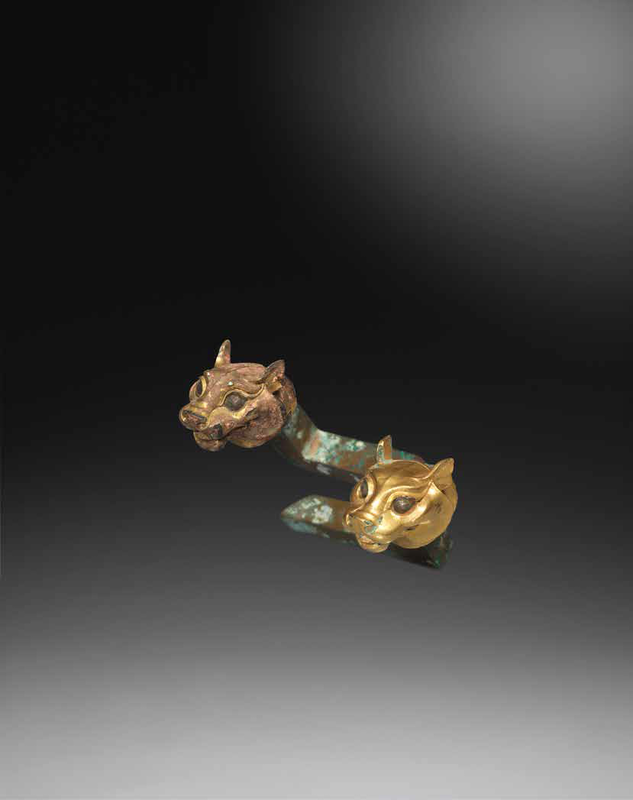 A rare pair of small gilt-bronze tiger-head terminals, Qin Dynasty (221-207 BCE); 4.6cm (1 3/4in) and 5cm (2in) wide. Estimate £15,000 - 20,000. 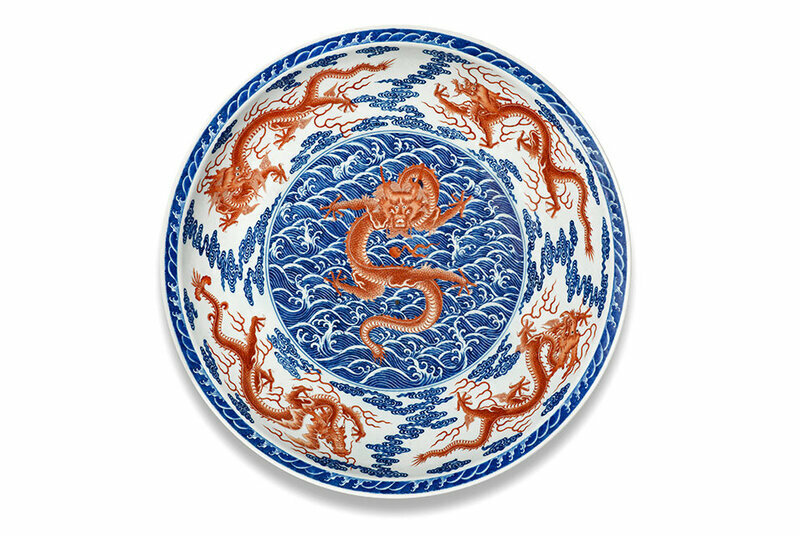 Sold for £ 27,500 (€ 31,550). © Bonhams. 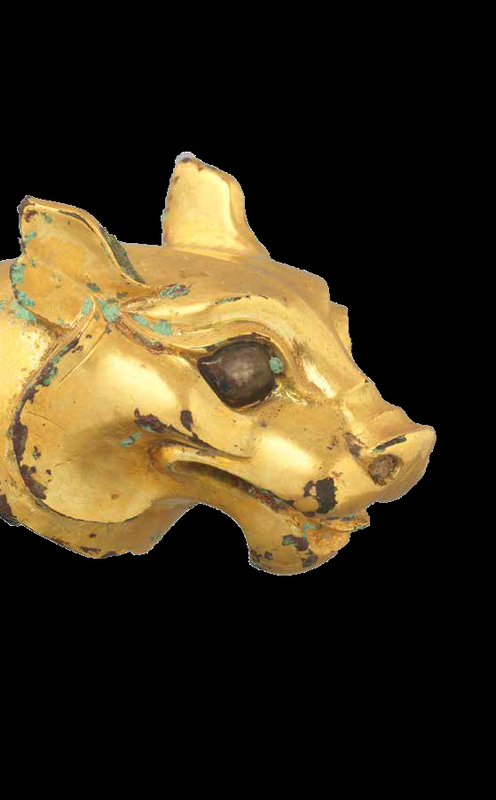 Each tiger head issuing from an L-shaped bar, with pointed ears and bulging almond eyes flanking flaring snouts, their mouths slightly agape revealing the tongues, stand. 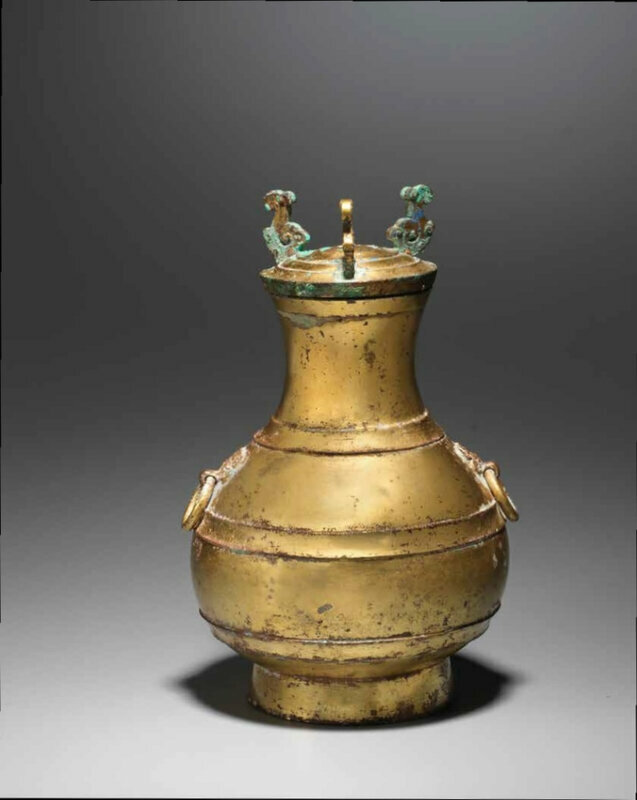 Note: Gilt-bronze models of animals were increasingly popular from the Warring States period onward and usually made to decorate chariot poles or the legs of tables and other pieces of furniture. Compare with the head of a bronze tiger, Warring States period, illustrated by W.Watson, Ancient Chinese Bronzes, London, 1977, pl.89a.